As I show in my morning show segment every year (and I can’t believe this time is already here again), here is my holiday gift guide full of festive fun ideas for all the different personalities on your list. 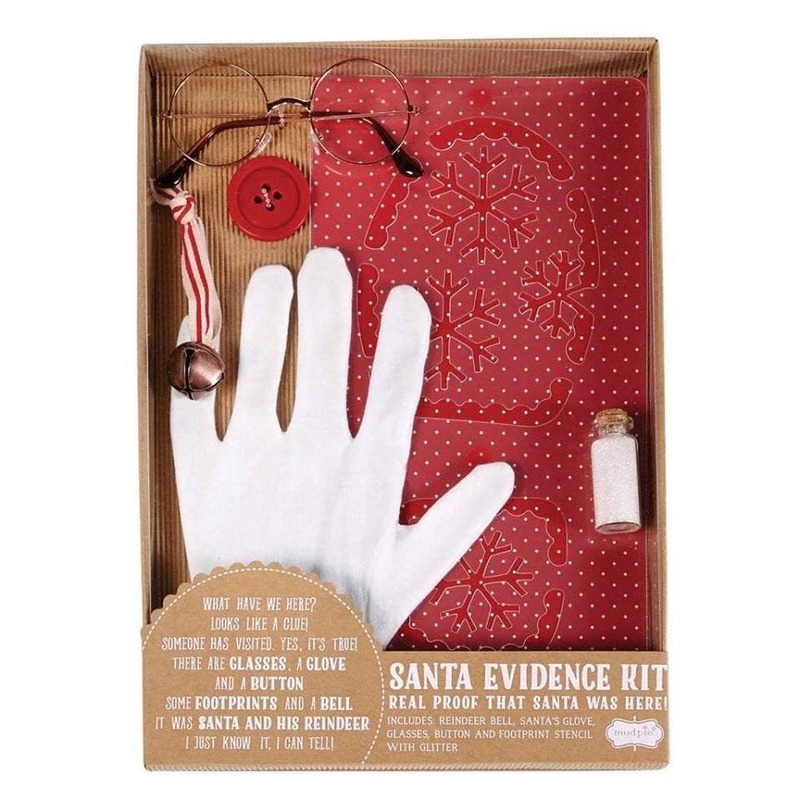 Santa Evidence Kit – How fun is this! This kit contains clues that Santa was there on Christmas Eve. With a glove left behind, glasses, a button, some footprints in stencil and a bell, this will be an added dose of fun for kids on Christmas morning. Sells for $20 at Teresa’s Creative Gifts, a unique local online gift boutique. Get the Santa Evidence Kit here at this link. 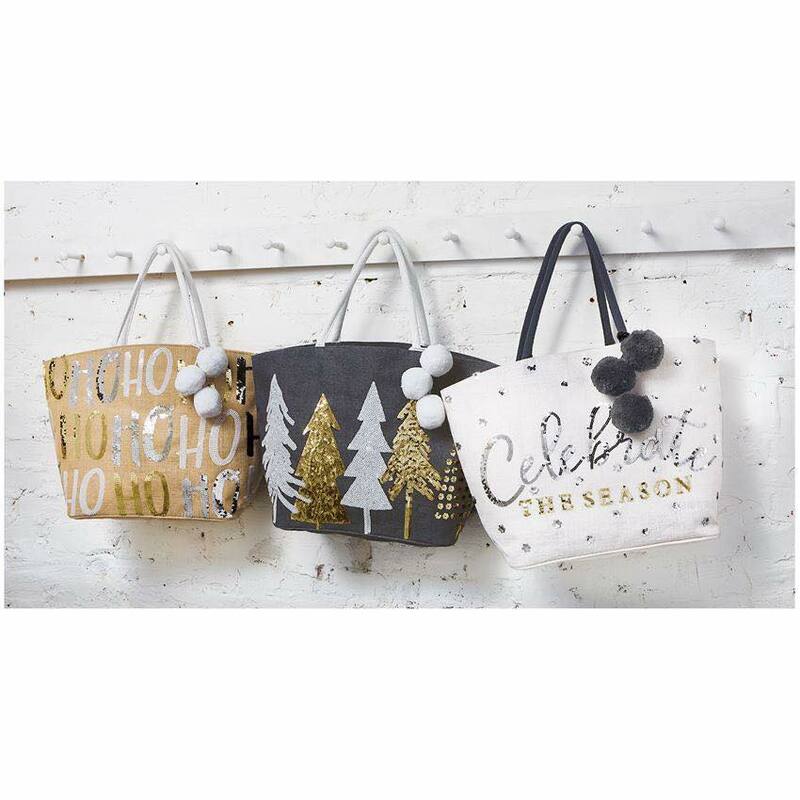 A festive touch for the beauty product lover that makes a return from last year! 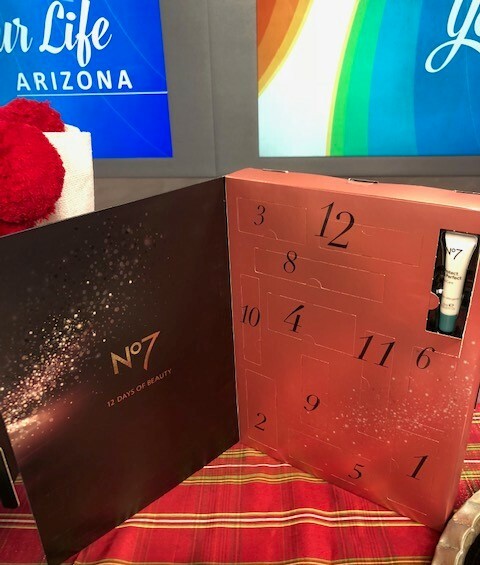 The No7 12 Days of Beauty skin care and makeup products kit. One awesome beauty product is revealed each day of the seasonal countdown. 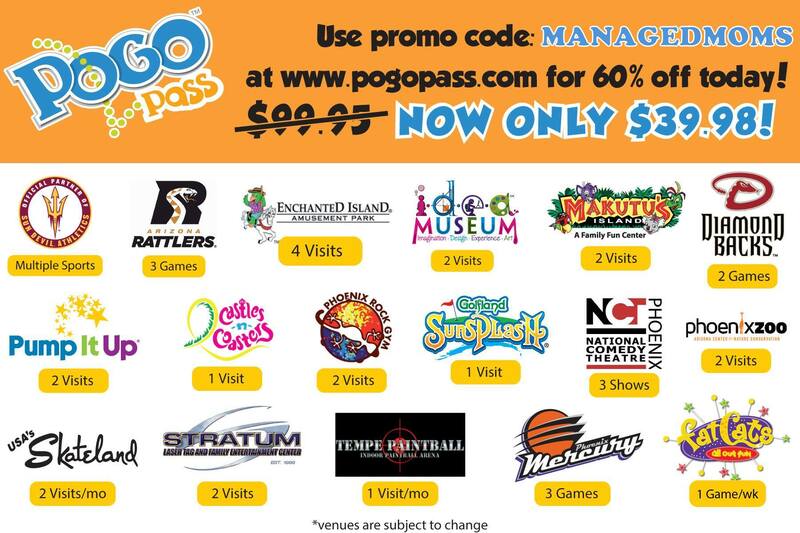 The value is also great since it sells for $45 but would cost over $95 if all 12 items were purchased separately. Such an awesome festive, fun and beautiful gift! Sold at Walgreens. 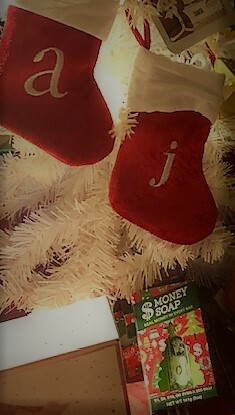 Money Soap makes a fun stocking stuffer. Each bar of soap sold contains real money inside. Either a $1 bill or $5, $10 or even a $50 bill may be in the soap. So fun and maybe even lucrative for the recipient depending on how much is hidden away in the soap bar. Sells for $10.99 at Kohl’s stores. I am guessing that most of the bars have only one-dollar bills, but your recipient could get lucky if they get a bar with a bigger payout. I don’t know the odds but it is still fun. LUSH continues to be a very popular gift idea. 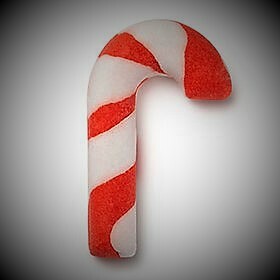 The handmade cosmetics line has a LUSH Candy Cane Bath Reusable Bubble Bar this year to stuff in a stocking. The bubble bar emits a sweet fragrance made of lemon and bergamot oils and creates beautiful bubbles when placed under a running faucet in the tub. Once it dries, save it for the next bath until the candy cane runs out. Great gift idea. Sells for $5.95 at LUSH stores and online at this link. 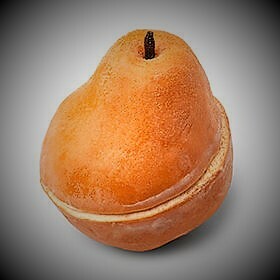 And how about a Golden Pear bath soap in her stocking for a home spa stocking stuffer? LUSH makes one that contains almond oil, fresh pear puree, fair trade organic cocoa butter and more to create spiced soap suds. Love this! Sells for $8.95 at LUSH stores and online here. 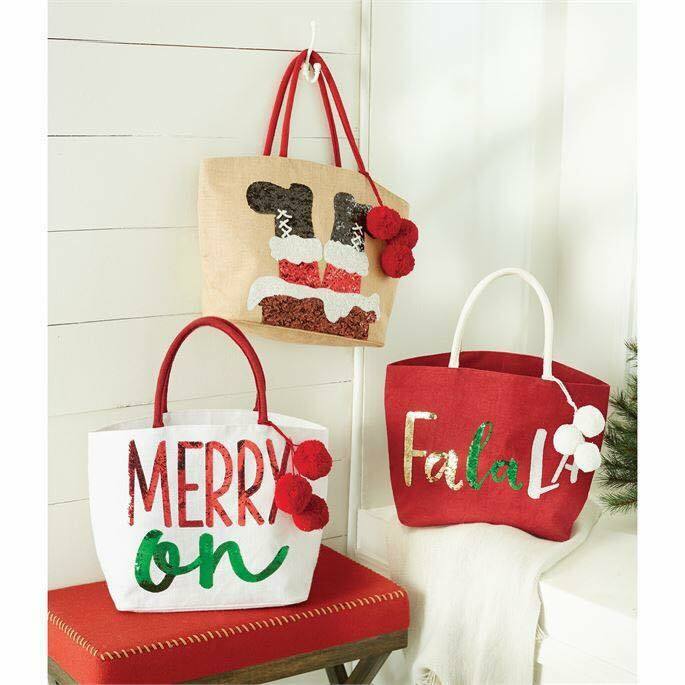 Christmas Totes in glittery holiday décor that are big, bright and festive with sayings like Merry Oh and Fa La La or Christmas designs like Santa’s boots, Christmas trees and Santa’s belt. Stuff one with gifts and this is such a fun and festive present to give! $25 at Teresa’s Creative Gifts online shop at this link. Smaller totes sold here. Bath lover? Give the Baylis & Harding Jojoba, Silk & Almond Oil Bath Fizzers gift kit. No need to wrap this pretty festive box as the bath bombs are packaged to look like tree ornaments. This present also includes a gift card label on the box. I love that this one doesn’t have to be wrapped. Or separate the five pretty-in-pink wrapped bath fizzers and give as individual gifts or stocking stuffers. $12 at Walgreens. These are pictured above on my segment table. I know so many adults who love Disney stuff as much as they did as kids. So, check out CVS because the drug store has a cool Disney collection of all kinds of stuff like a toaster that toasts bread with a Mickey Mouse imprint. That sells for $19.99. I also saw a Mickey waffle maker and much more. The stocking stuffers I showed were also from CVS. I love that neighborhood drug stores have so many great gift ideas. 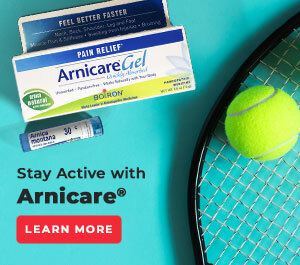 Need a funny gift for a gag? The Chia Pet has you covered with Chia Pet The Golden Girls Decorative Planter. So funny! 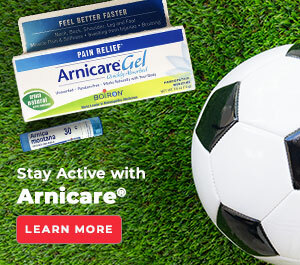 Get it at Walgreens for $15.99. 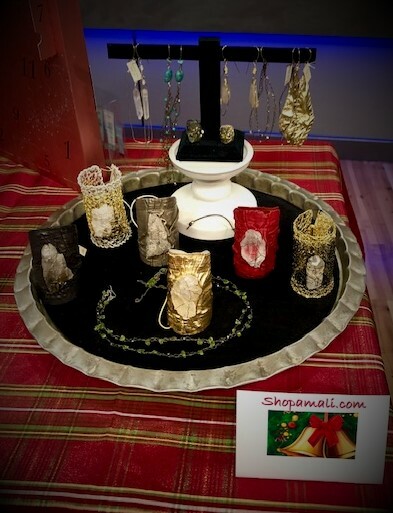 For the woman who likes to make a statement with her jewelry, the artist or the woman who loves to support other local female artists, check out Karen Hall’s collection of organic, handmade, unstructured one-of-a-kind jewels. Phoenix based artist Karen Hall uses metal wire, leather and raw stones to create cuffs, earrings and more. 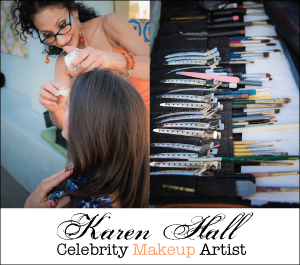 Get Karen Hall’s stunning pieces online at shopamali.com. 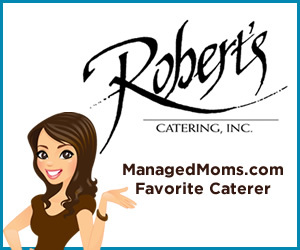 Or contact Karen directly at her website here. Send a little Arizona in the mail. 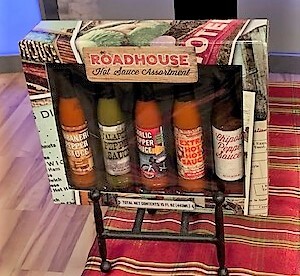 For the out-of-town family or friend, send them the RoadHouse Hot Sauce Assortment and add a bag of fun chips to make it a holiday package from the Southwest. Best part of this 5-piece sauce set is that it is sold at the drug store for only $9.99 at Walgreens. 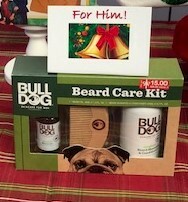 Beards continue to be all the rage so the Bull Dog Beard Care Kit is perfect for the guy with facial hair. Nice kit with a comb, beard shampoo/conditioner and beard oil. Plus, this brand contains no artificial colors, synthetic fragrances or ingredients from animal sources. Great value as this kit sells for $15 at Walgreens and on Amazon. This would cost $26 if the items were sold separately. With Toys R Us gone, be sure to check out the drug stores since they have stocked store shelves with lots of toys. Both CVS and Walgreens have a good variety of some of the season’s hottest toys. 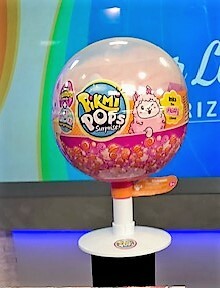 One popular item is the Pikmi Pops Surprise toy kits. I found Inka the Fluffy Llama at the drug store which contains one jumbo scented plush stuffed llama, one surprise item, one surprise message and more. Sold at Walgreens for $19.99. The Starbucks Hot Cocoa For 2 with seasonal Peppermint Hot Cocoa and two tall ceramic Starbucks mugs. Sells for $19.99 at Walgreens. The beauty product lover will love the product that is trending on Instagram right now. The Wet n Wild 10 Piece Brush Collection features lovely rose gold handles and include professional makeup brushes with ergonomic handles. Best part, this kit sells for $30 and would be $90 if brushes were sold separately. Sold at Walgreens making it easy to get this highly desired beauty item. Treat her feet with a pedi basket. Fill it with soft comfy warm socks, a pretty festive nail polish, foot lotion and a nice foot soak. 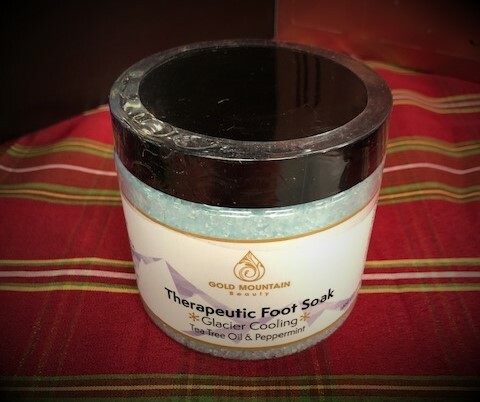 I recommend Gold Mountain Therapeutic Foot Soak because it contains tea tree oil and peppermint and eucalyptus oils. This sweet feet gift basket will soothe, soften, pamper and treat her tired feet. Gold Mountain Foot Soak sells for $13.99 here and at Amazon. 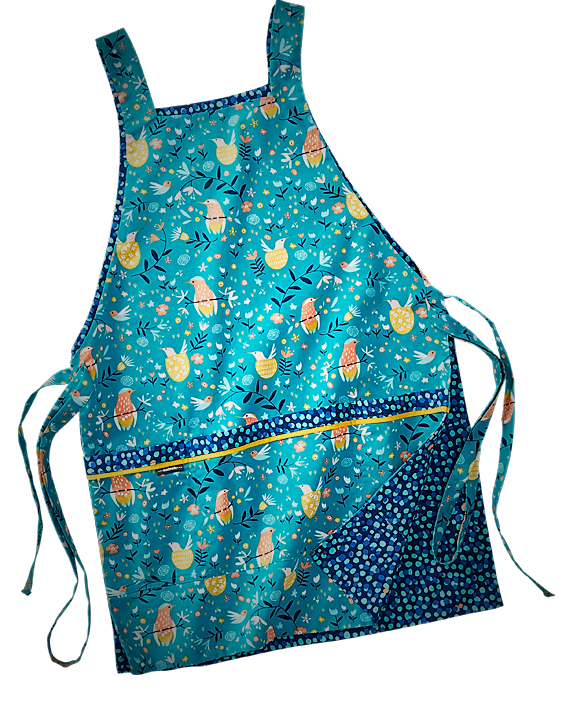 For the cook, I have discovered an awesome apron by Madmade Design that is more comfortable, functional and stylish than most aprons. Madmade designs are reversible, are made with comfortable shoulder straps and is a tunic style so it doesn’t pull on your neck. The Madmade apron has nice pockets for items like your cell phone or glasses. To see all the fashionable styles and to order online, visit Madmadedesign. Charity Pot Body Lotion by LUSH. Not only is this handmade lotion made with rosewood oils in a cocoa butter base, which is so yummy for skin, but 100% of the proceeds (minus the sales tax) go to charity. Th jar I showed in my segment states that the purchase is helping NAPSA, which is an organization that advocates for and advances the welfare of captive primates. LUSH sells a variety of charity pots with each pot sold benefitting a variety of grassroots charitable organizations. These organizations help animal protections, environmental justice and human rights. LUSH also has a limited-edition Packaging Free Naked Body Lotion Charity Pot that also gives 100% back to charity. This item is made with a combination of shea and cocoa butter along with olive and jojoba oil and more that is great for dry hands and feet. $9.95 at LUSH stores and at this link. 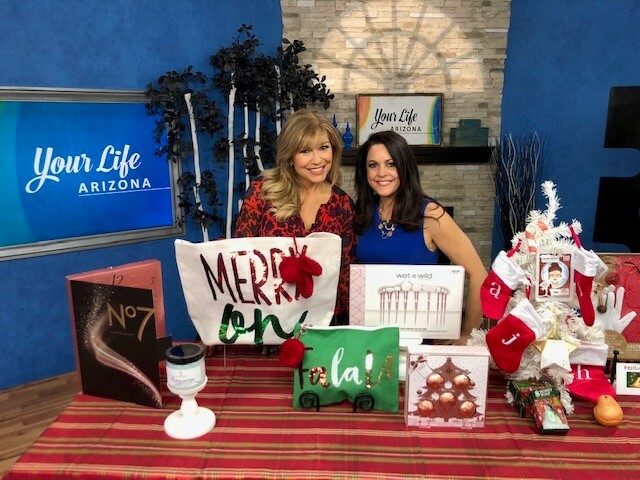 The holiday items I showed from Found by Domestic Bliss store and the local AZ Christmas tree orders I mentioned can be found here in this article that has the links, too. What fun gift ideas have you seen out there? Share here in the comments section. Happy Holiday season!